Our aromatherapy hot and cold packs can ease sore muscles, headaches, back pain or other sore spots in need of hot or cold therapy. Simply place on any spot that needs relief and enjoy the therapeutic herbal benefits! 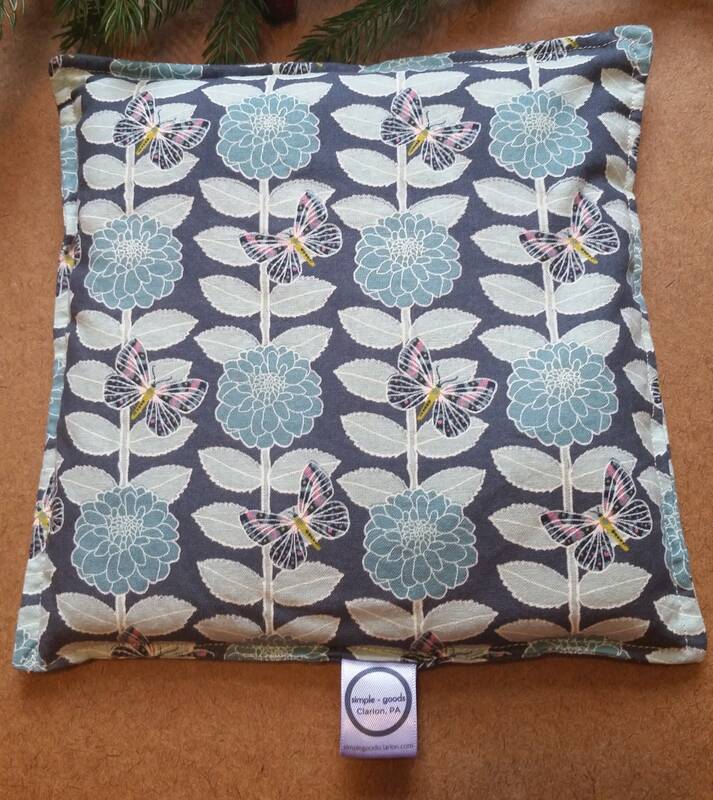 Each hot and cold pack is made with care out of cotton fabric with the seams double stitched for strength and durability and then filled with all natural flax seed and organic dried lavender. The flax provides a lovely soft drape and hugs the curves of your body and the aroma of dried lavender is so soothing and relaxing. 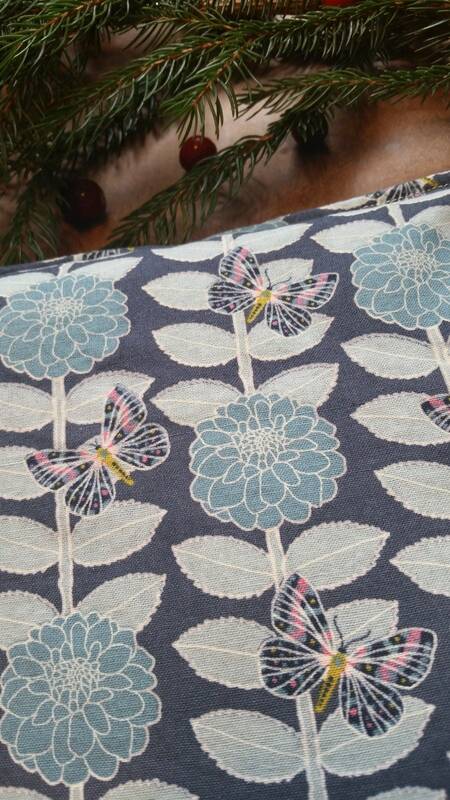 This hot and cold pack is a blue moth and zinnia floral print on cotton fabric. To use for heat therapy, place in the microwave at 30-second intervals until warm enough. Always test for temperature before using. To use for cold therapy, store in the freezer in a plastic zip-top bag for at least 1 hour prior to use. During the holiday shipping season, USPS will make Sunday deliveries for Priority Mail packages nationwide. Visit USPS for more information and USPS international shipping deadlines. 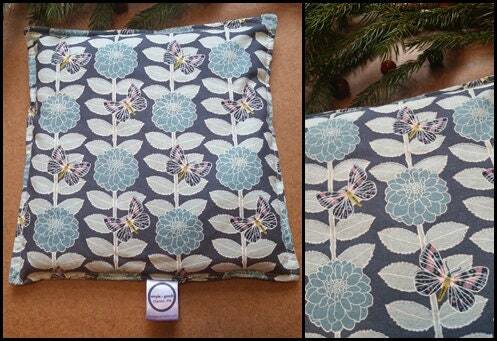 I accept PayPal, Credit/Debit Card and Etsy Gift Cards as payment. Payment must be made in full and have cleared before the item is shipped. Shipping will be offered through USPS First Class or Priority Mail. If you are a local customer, pick up can be arranged in the Clarion, PA area. Please contact me for arrangements before purchase. Custom order requests are welcomed, please feel free to contact me with your ideas. If you have questions about any of my products or policies please do not hesitate to contact me by sending me an Etsy conversation.